Art History professor Sara Orel, whose speciality is ancient Egypt (she has her Ph.D. in Egyptian Archaeology), led a June 10th tour of the Sunken Cities exhibition at the St. Louis Art Museum for members of Truman State University’s Alumni Association. The show includes objects from underwater excavations of the lost cities of Thonis-Heracleion and Canopus, off the northern coast of Egypt in the Mediterranean sea. In addition there are several pieces on loan from the Greco-Roman Museum in Alexandria, Egypt, and the Egyptian Museum in Cairo. 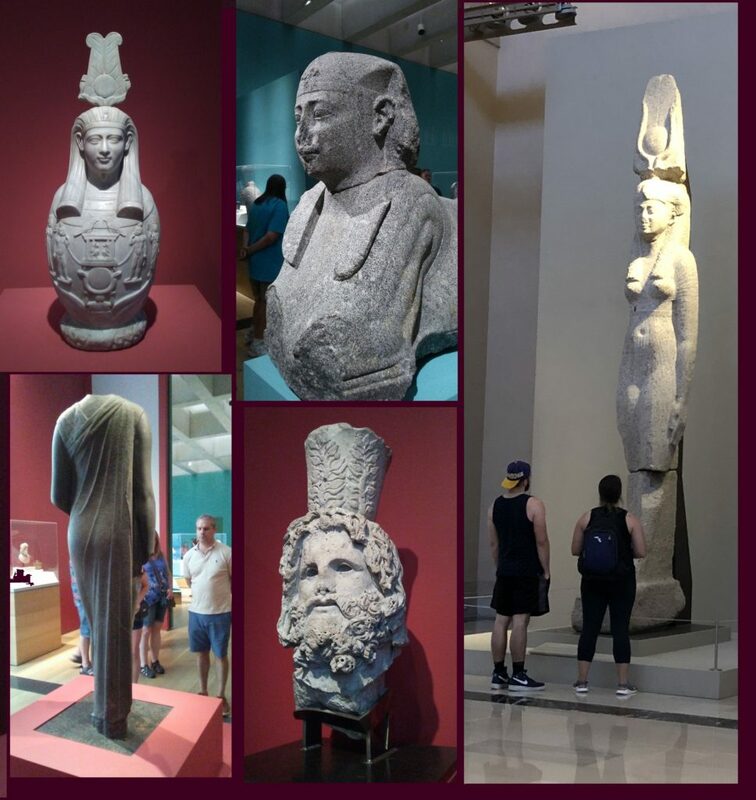 Thirty former (and current) Truman students and their friends and family got to see the objects which included beautiful jewelry and statues, including three colossal statues of granite set up in the lobby of the museum. Art History graduate Krista Garcia took several pictures and was willing to let us use them here.